Rock ‘n’ roll legend Rod Stewart has sold over 100 million albums during his fifty-plus year career. Ironically, one of his most famous lines isn’t a song lyric at all. “You go through life wondering what is it all about,” Stewart once offered in an interview, “but at the end of the day, it’s all about family.” The statement was surely about his life and his family, but it couldn’t have been more appropriate for the way one of Stewart’s biggest fans, JoAnn Colleran, lived her life. 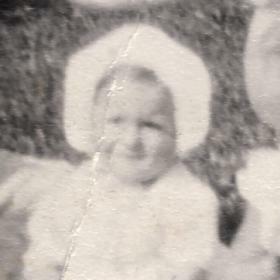 Josephine Ann was born into the loving home of Mary and Joseph Latchney on June 23, 1932. The last of their three children, JoAnn joined older sisters Rita and Dorothy in a two story home on the east side of Detroit. As so many men did at that time, Joseph worked for one of the big auto manufacturers while Mary stayed at home with the girls. JoAnn remembered both of her parents as hardworking and supportive; they placed a particular emphasis on social equality and higher education. The Latchneys lived in a predominately Slovak neighborhood, a byproduct of Detroit’s first Slovak parish, Sts. Cyril and Methodius. The family was very active in the church, and the girls attended grammar school at St. Cyril’s. Growing up on Georgia Street was a joy, even as the country struggled to pull out of the Great Depression. JoAnn spent many hours in the park across the street, where there were games with the area kids during the warmer months and ice skating on the ponds in the winter. One of JoAnn’s adventures was walking to the nearby Better Made factory for a handful of burnt potato chips. Music filled her childhood home as sister Rita played piano, and several uncles—including one that lived with the Latchneys—had formed a band. This early exposure to music would fuel JoAnn’s thirst for the arts for years to come. 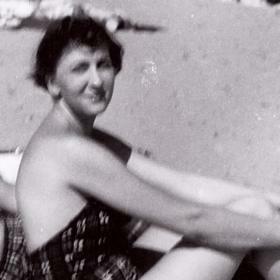 The importance of family and heritage continued to be a theme throughout JoAnn’s upbringing. The Latchney girls joined the Slovak Catholic Sokols, an athletic organization that promotes wellness though gymnastics and Olympic sports. 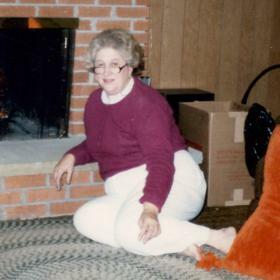 JoAnn remained a lifelong member of the Detroit Sokols—Group 16, and her daughters can attest to the rigorous calisthenics encouraged at meetings. JoAnn was close to her sisters and admired their social standing at school. She became a cheerleader and swore in later years that one particular chant ended with “…hit ‘em in the head with a big kielbasa”. St. Cyril’s added a high school in the late 1940s, and JoAnn was a part of the parish’s second-ever graduating class in 1950. 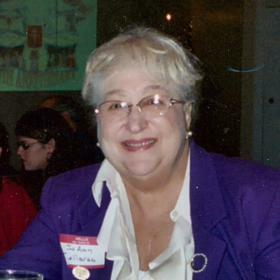 Education continued for JoAnn when she enrolled at the University of Detroit. She spent a year taking general classes, and then turned her focus to health care at the recommendation of her father. Joseph had contracted a severe case of pneumonia several years earlier, and JoAnn played a big role in caring for him before the era of penicillin. With her father’s support, she earned a 3-year diploma in nursing from the Mercy School of Nursing. The highlight of her studies at Mercy was a summer internship in New York City, where she completed her required psychiatric rotation by day and frequented the world-famous Copacabana club in Times Square after dark. JoAnn would go on to complete her Bachelors of Science in Nursing (BSN) degree at St. Louis University in Missouri. Once back home in Detroit, JoAnn began work in a hospital as a nurse. She quickly made friends with many of her coworkers, which led to one of the most important evenings of her life. In the fall of 1954, a group of fellow nurses persuaded JoAnn to accompany them after work to Gayton’s Bar on Schaefer Road in Dearborn. The girls sat in a corner and enjoyed drinks with several gentlemen that they knew. Sometime after eight, one of the men waved over an acquaintance that had just walked into the bar—the handsome newcomer sat down next to JoAnn and the two began to talk. Jim Colleran was a plumber, a former Marine, and had a fantastic sense of humor. As the night progressed, Jim offered JoAnn a photo of himself that he happened to be carrying with him. She accepted it in exchange for her telephone number, and agreed to a date when he phoned the following evening. And despite his protests, JoAnn wouldn’t give the photo back. JoAnn and Jim saw each other several times a week from that point onward. After dating for roughly a year and a half, Jim half-heartedly complained that he was growing tired of driving across town to see JoAnn so frequently. When she asked what he thought they should do about it, he calmly suggested marriage. It wasn’t a grand proposal because it didn’t have to be—JoAnn knew very early in their relationship that Jim was the man she would marry. Her father approved, and JoAnn and Jim were joined in holy matrimony at Sts. Cyril’s and Methodius church in November of 1957. The newlyweds purchased a house in a growing Inkster neighborhood; the three bedroom, one bath ranch at 530 Central would be the Collerans’ home for the next fifty years. St. Kevin’s was the local parish, and the church once again played a significant role in JoAnn’s life. She and Jim formed a great network of friends at St. Kevin’s, many of whom they still count as friends today. They became part of a bowling team and enjoyed weekly pinochle games with other couples. Not long after they settled into their new home, the Colleran family began to grow. A son, James, was born in 1959, followed by four daughters—Mary Katherine, Julie, Clare, and Amy—by the end of 1968. The children became JoAnn’s primary focus, and she left her job at the hospital to run the household. By every account, she was a loving and supportive mother. 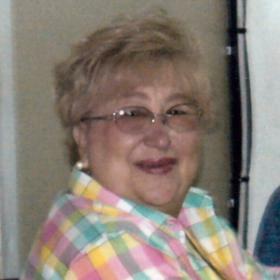 JoAnn was there to cheer at hockey games, gymnastics competitions, swim meets, and stage productions. If there was an event while the kids where in school, JoAnn was always present and usually involved somehow. Her small kitchen cranked out meal after meal for the family of seven, and her desserts—especially her cheesecake—were cherished. JoAnn taught her children to sew and bake, to laugh and sing, to learn, to love, and perhaps most importantly to never, ever give up. The kids grew and eventually required less attention, allowing JoAnn to rejoin the workforce. She put her skills use at a nursing home and then moved onto insurance case management for John Hancock. With more free time than they’d had in years, JoAnn and Jim purchased a vacation home on a beautiful sky blue inland lake “Up North”, some forty minutes south of the Mackinaw Bridge. The house, nicknamed Colleran’s Cliff after the steep hillside it was built into, was a constant source of enjoyment for the entire family. Pontoon boat rides, afternoons on the beach, trips into nearby Petoskey and Harbor Springs, bonfires with s’mores after dark, huge meals from the house’s large kitchen, and even cross-country skiing in the winter—everyone found something to do at the Cliff, and JoAnn was typically orchestrating it all. After a brief retirement, JoAnn returned to work in case management for Blue Cross Blue Shield of Michigan. She began to travel more and loved to learn about other countries and cultures. Several trips to Europe included stops in England, France, Ireland, the Czech Republic, and Slovakia. JoAnn had always enjoyed the theater and borrowing paintings from the Dearborn library, but these adventures only increased her appetite for art; she fell in love with famed painter Mucha while in Prague, collected Belleek china from Galway, and always kept an eye out for eastern European crystal. Travel also provided an opportunity to connect with distant relatives in Slovakia, as well as locating Jim’s kin in Ireland. JoAnn reveled in her role as unofficial family historian, keeping track of an impressive number of cousins, nieces, nephews, and friends. 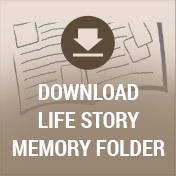 The family tree grew again in 1988 when JoAnn’s first grandchild was born. She and Jim were blessed with nine grandchildren over the next couple of decades. Much like her children were a generation earlier, the grandkids became the light of JoAnn’s life. She finally retired from BCBSM at age 74 because being “Honey” (she was never old enough to just be ‘Grandma’) had become a full-time endeavor. Summer visits to The Cliff were twice as enjoyable with little ones in tow, and weekends were again filled with soccer games, violin recitals, and birthday parties. Any success the grandkids had—academic, musical, or otherwise—would be immediately claimed as the result of a Latchney gene. The best part about being Honey, though, was getting to spoil the grandkids and then send them home at the end of the day, wired on M&M’s and holding a new toy. A half-century after buying their first home in Inkster, the Collerans moved to Livonia to be closer to several of their daughters. The new house backed up to a city park, and JoAnn enjoyed watching the kids play as she tended to her flowers. As the physical limitations of age started to appear, JoAnn just shortened her stride a bit and kept moving forward. She and Jim had seemingly endless lunch and dinner dates with friends, and the two became frequent moviegoers when the colder months kept them indoors. Last August, JoAnn welcomed her first great-grandson into the family, and thoroughly enjoyed telling him how distinctly Slovak his features were at two weeks old. You fill my heart with gladness; take away all my sadness. After eighty-six years of caring, teaching, laughing, and loving, Josephine Colleran closed her eyes for the last time on April 5th, 2019. She was exactly where she always loved to be—at home, with her husband and family by her side.